Written by Dr Charles Shepherd and Charlotte Stephens, for the ME Association, these popular lay summaries focus on research we have found particularly interesting or important. 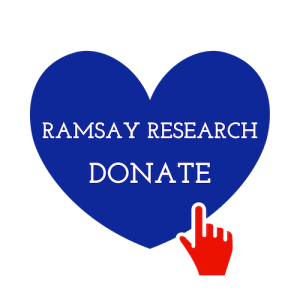 They also include updates relating to the research being funded by the Ramsay Research Fund. And often feature comments from researchers we have interviewed with some being written by the researchers themselves. We make our summary reviews freely available as downloads or to view as website blogs and hope they help bring a greater understanding and appreciation of M.E. research. This is an A-Z index of the most important published research studies, selected key documents and articles, listed by subject matter, on ME/CFS. It is correct to 30th November 2018. At the end of each month we update the Index and publish it with the research abstracts to help keep you informed of the latest developments. The Index adopts the subject headings used in the ME Association’s authoritative Clinical and Research Guide available to order from our website shop, or as a Kindle e-Book from Amazon. The ME Association is very grateful to Dr Barbara de Barros, Charlotte Stephens and Russell Fleming, for producing such an excellent free resource. March: Vision impairment in M.E.